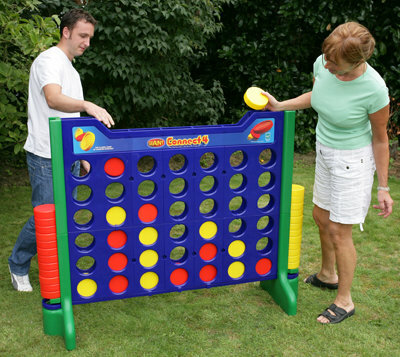 Giant connect 4 is the popular outdoor game that brings out the kid in all of us! Great for all ages! The giant frame consists of sequential holes where players need to drop their colored checker in and try and get four in a row! Rent this great game for your next event, party or festival!